Down in the garden the sun has a sting to it. Sounds of the Albany Agricultural Show drift over the house from the showgrounds close by. A female announcers voice. Shrills and screams from the show rides. The cicadas tick away patiently, summoning summer closer and closer with each tick and click. 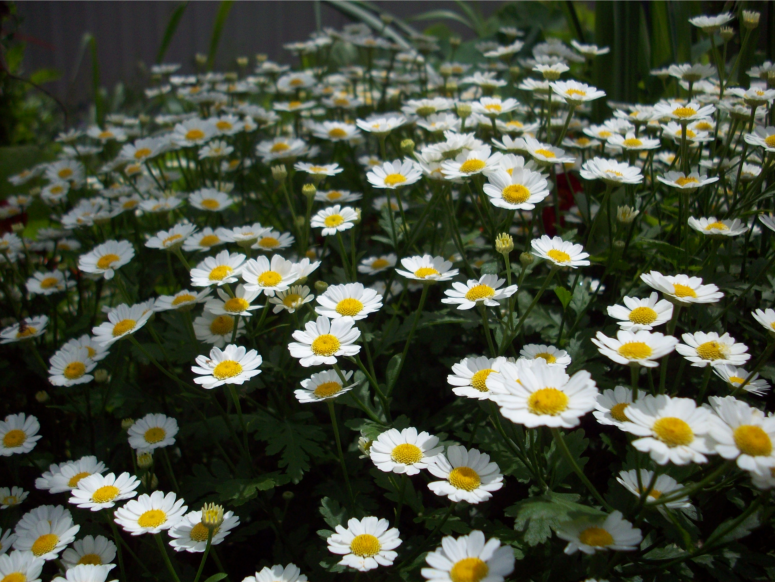 From the cool shade of the pyrethrum daisy the Empress of India comes out to bask in the sun. 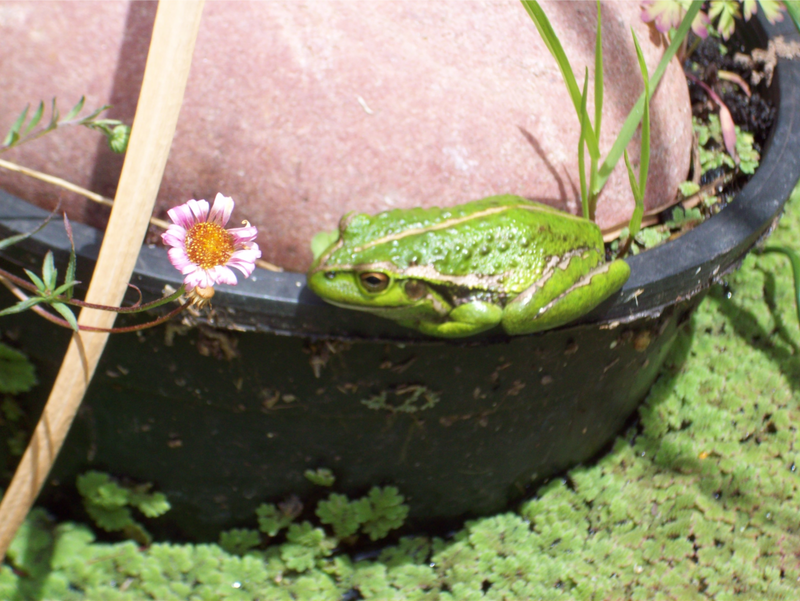 Moving out from its usual spot in the pot by the rock, Frog is out to enjoy the sun also. Taking time to warm itself on the edge of the pot before moving off towards afternoon to catch food and find its place of shelter before the nights wanderings and foraging begins. 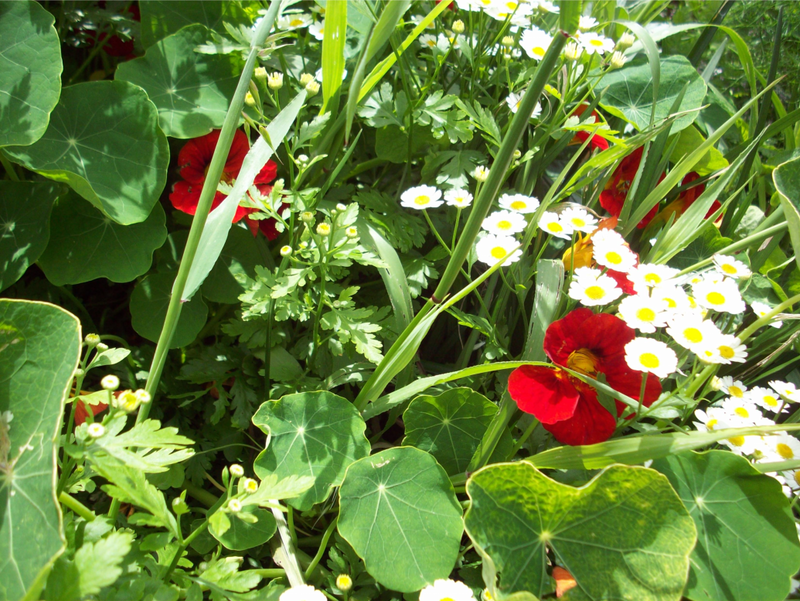 The daisies raise their heads and seem to sing in chorus to the beat of the ticking of the cicadas. Energised by the sun they encourage the flower buds below them to rise and bloom. The honeyeaters are quiet in the noonday sun, but the silver-eyes move in the shade with stealth. 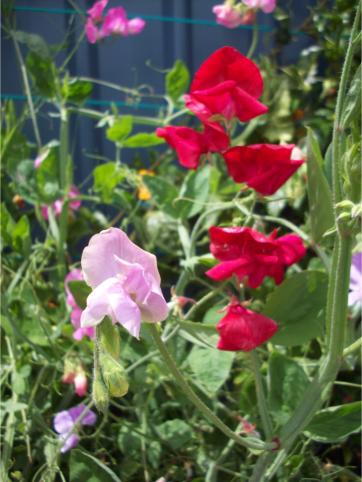 The sweet peas are at their finest today. Sculptural forms. Wonderful, fresh perfumes. They seem to hang in the air above the nasturtiums. The bees moving from one to another. 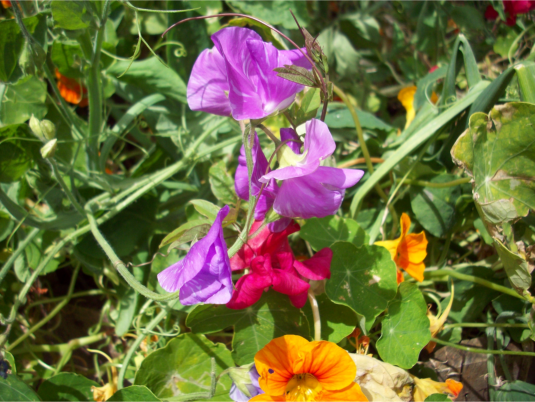 The gentle, fragile flowers under a stinging sun. 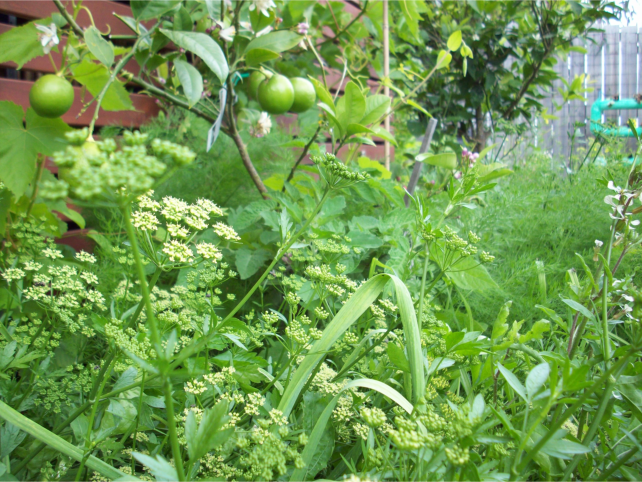 Under the Lemon and the Lime the parsley is flowering and about to set seed. It is like a miniature ancient forest, populated by dozens of hoverflies that move precisely from here to there. Stem to leaf. Air, to air. A spider moves quickly to shade on a garden stake after capturing a juicy fly.